Many of the obstacles we have placed before ourselves are not real, but when we see them as solid and unchangeable we feel powerless to move beyond them. We have unlimited free will, yet we stop short of invisible boundaries almost all the time. Why? Metaphysically speaking, a threshold is the point in which a new experience begins. How many thresholds have you already crossed in this life and how many more are there? Do we need a realistic goal or should we reach for the stars? 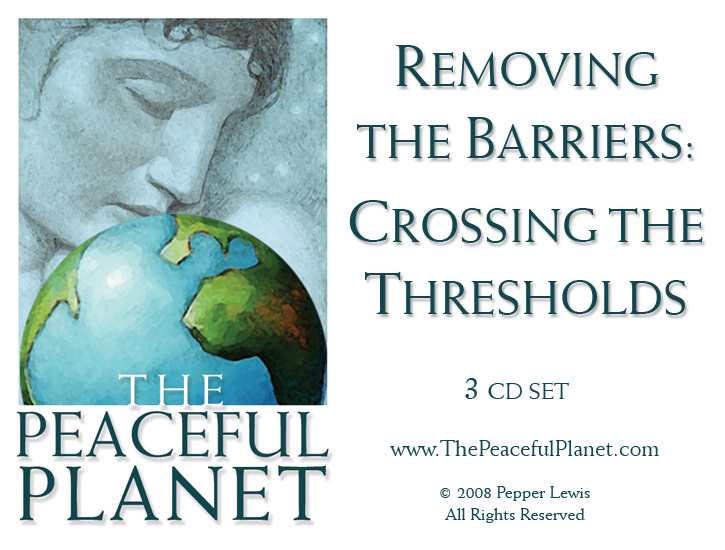 What would our life look like if we were free from the limitations and barriers we impose on ourselves? This insightful and revealing series examines the realities and illusions we create, as well as how to free ourselves from them. Look deeper . . . Go further.